SIOUX FALLS, S.D. – Kyle Mangas will get his shot at a national championship. The former Warsaw star helped lead his Indiana Wesleyan men’s basketball team to a thrilling win over No. 1 ranked IU East 75-72 Monday night. Freshman guard Mangas scored a game-high 20 points as the No. 4 ranked Wildcats topped the No. 1 overall seed in the semifinals of the NAIA Division II National Championship. IWU, now 30-7, will meet a very familiar foe for the national title at 7 p.m. Tuesday night. The Wildcats will face Saint Francis of Fort Wayne in the title game matchup. Both schools are members of the Crossroads League and have played three times this season so far. IWU defeated Saint Francis 89-82 in overtime and 86-82 in a pair of regular-season games and then topped them 95-83 in the title game of the league tournament. Saint Francis defeated the College of Idaho 70-59 in the second semifinal game Monday night. 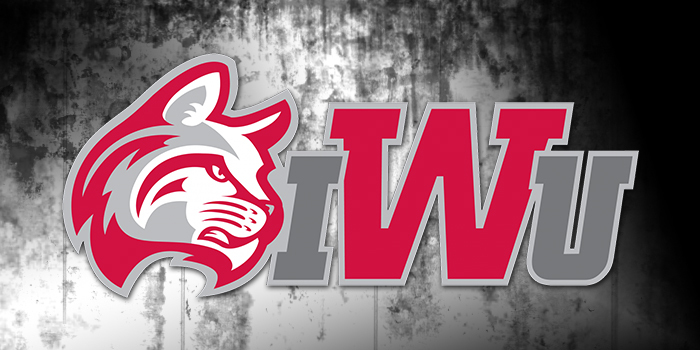 IWU handed IU East just its third loss of the season and its first since November. IU East had won 28 straight games prior to Monday night. Mangas, the Crossroads League Player and Freshman of the Year, continued to do his thing Monday night. He now has 795 points this season, adding to his single-season scoring record for the IWU program. Mangas broke the program scoring mark of 756 in a tourney win on Saturday. Lane Mahurin set the previous standard last season for the Wildcats. Mangas gave his team the lead for good with a hoop with 1:24 to play to make it 71-69. After a couple of misses and a turnover by IU East, Jacob Johnson grabbed an offensive rebound for the Wildcats and was fouled. He hit two free throws with 14 seconds to play to make it 73-69. IU East then drained a trey to cut the lead to 73-72 before Joel Okafor hit two more free throws for IWU to make it 75-72. IU East then missed a potential tying triple at the buzzer. The Wildcats took an early 23-9 lead only to see IU East rally. IWU led 37-35 at halftime. The Wildcats trailed 60-56 in the second half before using a 13-4 run to take a 69-64 lead with four minutes to play. IU East then scored the next five points to tie the game at 69-69, setting the stage for the fantastic finish. Okafor picked a perfect time to have the best game of his career. The junior scored a career-high 18 points on 6-6 shooting from the field and 6-6 from the free throw line. Evan Maxwell continued his stellar tournament play as the IWU big man had 15 points and 12 rebounds. Mangas also had nine rebounds and two assists in the win. IWU outscored IU East 52-34 in points in the paint and had a 38-28 rebounding edge. IWU shot 30-55 overall from the field, including 2-9 from distance. The Wildcats were 13-16 from the line. IU East, which finishes at 34-3, was 29-66 from the field. They were 10-20 from distance, but just 4-6 from the line. The Wildcats won national championships in both 2014 and 2016 under coach Tonagel, who is now in his 13th season in Marion. The program will try to become just the fourth to win three national titles. That exclusive list includes Bethel College, another member of the Crossroads League. Saint Francis, which is 29-8 and ranked No. 7, is led by former Columbia City standout Derek Hinen. The senior guard had 21 points and eight rebounds in the semifinal win Monday night. The Cougars are coached by Chad LaCross, a former standout at East Noble High School. LaCross, who played at Tri-State (now Trine University) is in his eighth season at Saint Francis. Both LaCross and IWU coach Tonagel are former Indiana All-Stars. Tonagel starred at LaPorte High School and then played at Valparaiso University.